As everyone related to this world would say, it is never possible to ensure total security and there are always chances of vulnerabilities. We should, however, try to consciously stay one step ahead of the malicious activities. Here are a few ways which ensure that at least no one is able to snoop on you. There was a time when someone snooping your system for cookies could steal them, put it in their own and get logged into your profi le or e-mail account. This trick has become kind of obsolete with an increasing number of websites using HTTPS (Hypertext Transfer Protocol Secure), which encrypts your data rendering those cookies useless in any other system. HTTPS basically secures you from many types of surveillance too. However, the standing problem here is that not all websites use HTTPS and when you use them, you are not protected. Enter HTTPS Everywhere– an extension for Firefox, Chrome and Opera that automatically encrypts all your data on the world wide web, even on websites using the insecure HTTP. Although there are sites like Wikipedia which do not believe in advertising, there are websites which literally bombard you with advertisements when you open them. Not only do these ads take up extra space in the page, they often represent things that are not as shown(Haven’t we all won those fake millions of dollars?) The simple solution here is to use an ad blocker. AdBlock Edge is a fork of the Adblock Plus version 2.1.2 extension for blocking advertisements on the web. This fork will provide the same features as Adblock Plus 2.X and higher but without “acceptable ads” feature.It is regularly updated, which makes sure that all the unnecessary content in a page is filtered out and you get to see only what is important! With so many organizations trying to monitor your activities online, you need to be aware of how to save yourself from the surveillance. A simple idea in this field is using a proxy, which means that your requests bounces off a proxy server. This essentially means that to the website you are accessing, it appears that the request is coming from the proxy server. The problem here is that if someone monitors your traffic as well, it is posible to ascertain that you connected to that proxy server, and the proxy server connected to the website. TOR (The Onion Router) applies a principle of Onion Routing, which bounces your request off multiple proxy servers, making it exponentially difficult with each level of proxy server. This makes your connection secure, considering you follow certain precautions like using only the portable browser that comes with TOR, avoid using Flash and open documents downloaded through TOR only after disconnecting from the internet. You must be aware that popular search engines like Google, Bing and Yahoo collect personal data to give you better search results. However, the downside is that Google ends up knowing you better than even your significant other! The answer to this problem comes out in the form of StartPage.com. A product of Ixquick, which is a standalone proxy service, StartPage gets you search results directly off Google, without disclosing any personal information to Google’s servers. You can also view the results through Ixquick’s proxy servers. Another approach to the problem is by DuckDuckGo. DuckDuckGo’s idea is to abolish personalized filters to search results- which shows all users the same results, irrespective of their age or demographics, thus providing privacy to the users. You might have synced personal files in services like Dropbox and Google Drive, but have you ever thought what might happen if someone hacks into your account and gets all your important files? 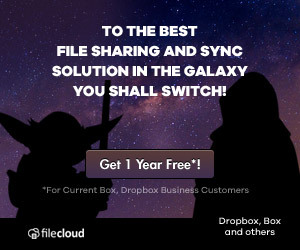 The solution here is to run your own cloud file storage on your own servers and Tonido comes to the rescue. Install Tonido desktop on one machine and use all your other machines to access and sync the files in Tonido- from within your browser to your mobile devices and even tablets! With this, we come to the end of our introduction to staying safe online. These set of tools form a formidable group to keep you secure. Although it is evident that there are a lot of tools to help you remain safe online, it is finally up to you to perform the right actions and stay safe. That could describe many file sync services. Why is Tonido more secure? Tonido is completely hosted by you. Your files don’t get stored in a 3rd party server.